This tutorial gives the basic knowledge on Biometrics. By going through this tutorial, you would get the basic idea of biometrics and how the biometric identification system works, different phases of biometric methods such as physiological, behavioral, and a combination of both modalities. This tutorial also gives the information about various security issues which are related to biometric systems, and the comparison of various biometric systems. 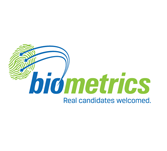 It also gives a detailed view on advantages and disadvantages of Biometrics. This tutorial is specially designed for the aspiring students at beginner level who need to understand biometrics and various biometric systems. It would be very useful for those who are in the fields of Electronics, IT security, and Biology. Biometrics is an advanced concept and it is very tough for a reader to go through this tutorial without having any grip over some basic knowledge of Computer Science, and Mathematics. Knowledge of Science is an added advantage for the reader.